Objective In this paper, the spherical surface texture and nodule shape are vectorized through spherical harmonics and repulsive mapping algorithm for the benign and malignant determination of pulmonary nodule in chest CT (computed tomography) images. The current methods of deep learning during benign and malignant screening of pulmonary nodules neglect data-preprocessing while focusing more on framework improvement. So far, the depth-learning method is mainly oriented to feature information, which can be vectored. In image-processing, two kinds of targets are mainly included in two-and three-dimensional processing. In two-dimensional processing, the existence of input data must be an equal-length problem. Considering that the obtained size of the pulmonary nodules is different, we must compress large-scale images in the input process and stretch the small-scale images, which will undoubtedly affect the quality of feature extraction and the final classification results. In the classification of CT nodules for the three-dimensional treatment of pulmonary nodules, the CT image angle is more stringent due to the different sizes of pulmonary nodules and the uncertainty of growth position, and the angle factors are uncontrollable during actual CT shooting. Hence, if we insist on the characteristics of the convolution channel, it is necessary to give priority to the solution. So we have to standardize different pulmonary nodules. 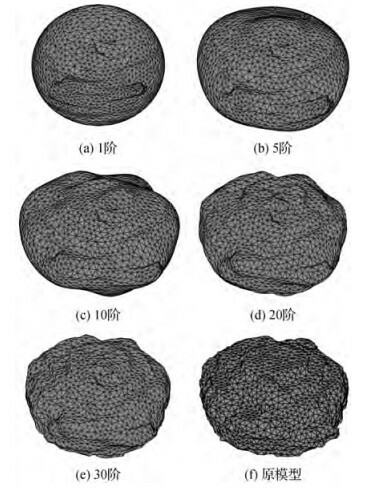 Different from traditional pulmonary nodule classification method, the proposed method aims on how to vectorize the spherical texture and nodule shape to allow input of data to the depth forest for feature classification training. 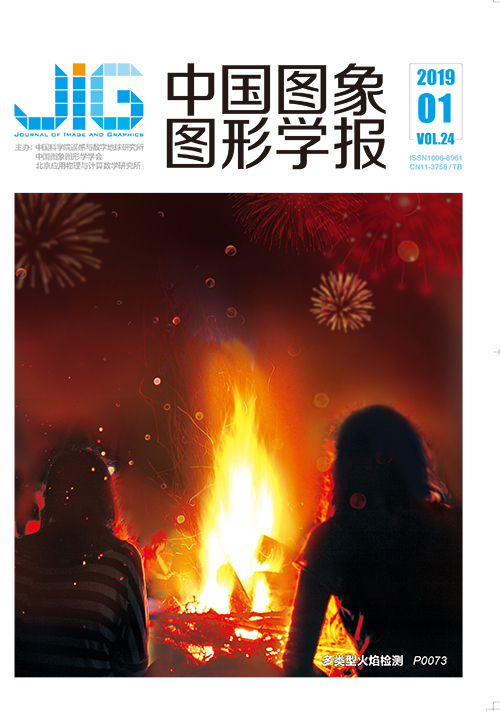 Method First, the three-dimensional pulmonary nodule images are produced by three-dimensional reconstruction of the data from the Affiliated Hospital of Liaoning University of Traditional Chinese Medicine. The data is divided into training and test set at 8:2 ratio. Second, the spherical harmonic function and the repulsive mapping algorithm are used to map the texture to the standard sphere in a mesh manner while preserving the spatial information. Third, the texture features of the pulmonary nodules are calculated by the method of mesh-LBP (local binary pattern) and vectorized by the construction ring. Then, the shape energy loss is constructed by the distance difference between the center of gravity and the central point of the pulmonary nodule during reconstruction of the three-dimensional pulmonary nodules, and the shape energy loss of the lung nodules is extracted and vectorized during rebuilding. 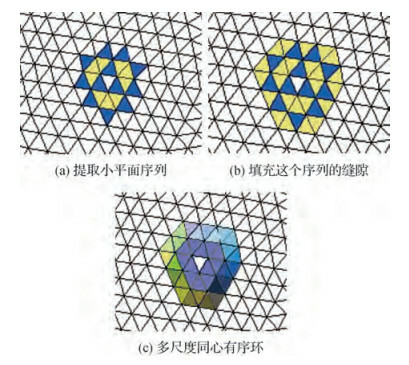 Finally, a mesh-based multi-grain scanning method is proposed to improve the deep forest training framework by constructing multi-scale concentric ordered rings instead of traditional multi-grain scanning methods. The vectorized texture and shape features are added to the improved deep forest training framework for experimental verification. 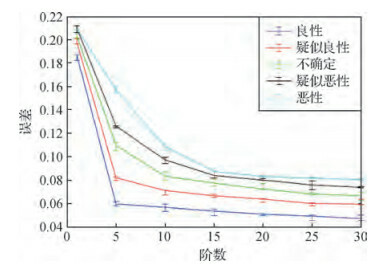 Result The pulmonary nodule data of this trial was mainly provided by the IRB (institutional review committee) of the Affiliated Hospital of Liaoning University of Traditional Chinese Medicine. The approval notice number is 2017111CS(KT)-040-01. According to the growth of pulmonary nodules, the dataset was divided into four types:independent standing lung nodules, and ground glass-shaped, vascular adhesion, and thoracic adhesion type pulmonary nodules. The benign and malignant lung nodules divided into five levels:1-benign, 2-suspected benign, 3-unknown, 4-suspected malignant, and 5-malignant. A total of 7 326 three-dimensional lung nodules were extracted as the data set for this experiment. 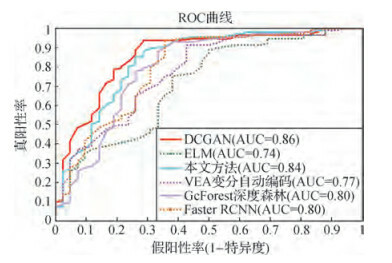 According to several experimental results, this algorithm have a better performance than the existing advanced methods (Variational Auto-Encoder, Faster Region Convolutional neural network, GcForest deep forest, Deep Convolutional Generative Adversarial Networks, and Extreme learning machine) under the following indices:accuracy (ACC), specificity (SPE), sensitivity (SEN), and AUC (area under the receiver operating characteristic ROC curve) values. In the experiments, ACC, SPE, SEN, and AUC reached 76.06%, 69.46%, 88.46%, and 0.84, respectively. Accuracy indicates the proportion of the classifier's correct classification of positive and negative examples, which can measure the judgment of the classifier on the sample. Specificity refers to the true negative rate, which indicates the proportion of the classifier to the correct classification of the counterexample and can measure the ability of the classifier to identify the counterexample. Sensitivity refers to the true positive rate, which indicates the proportion of correct classification of positive examples and can measure the ability of the classifier to identify positive examples. It also indicates the area under the ROC curve. The ROC curve can dynamically display the classification result. The true positive rate (sensitivity) is the ordinate, whereas the false positive rate (1-specificity) is the abscissa. A value closer to the upper left corner indicates a stronger classification ability of the method. To accurately measure the ROC curve, it can be represented by the AUC value, which is generally between 0.5 and 1. A larger value indicates a stronger classification ability. Comparatively, the method used in this paper is sub optimal for the SEN value but the method used in this article maximizes SPE and ACC values.The AUC value is also sub optimal. Conclusion Lung cancer have one of the fastest growing morbidity and mortality rates worldwide and is a serious threat to people's health and life. The incidence of malignant pulmonary nodules is concealed. Many patients are often in the local late stage or even distant metastasis at the time of diagnosis, thus losing the chance for cure. Therefore, the early detection of malignant pulmonary nodules is crucial for the chance of successful cure. Based on the spherical harmonic function and the tolerance rejection mapping algorithm, the two surface and shape of pulmonary nodules can be successfully vectored and trained. Aside from considering data pretreatment, the accuracy of benign and malignant detection of pulmonary nodules is improved by these two features. 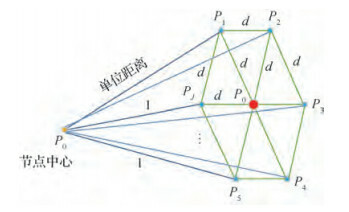 Our proposed method can solve the problem of angle normalization by using a spherical space mesh to obtain the nodular information through a spherical space mesh. 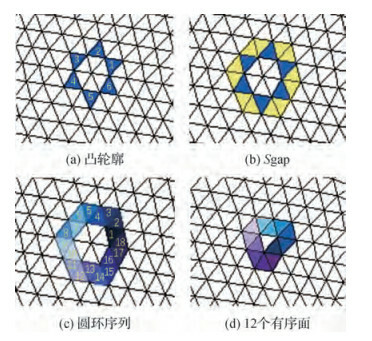 In addition, this method can also obtain different texture features and shape edge feature vectors as classification features by using the loop method. It is also an effective method for feature extraction and is vectorized in three-dimensional models. Courtney K K.	Yolo:the year of the learning organization[J]. AALL Spectrum, 2012, 16(3): 20–24. Chang J, Scherer S. Learning representations of emotional speech with deep convolutional generative adversarial networks[J]. arXiv preprint arXiv: 1705.02394, 2017. Kass M, Witkin A, Terzopoulos D. Snakes: active models[J]. Int. J. of Comp, 1987 Vision, vol. 1, pp. 321-331.